Spiiderweb™: Unsure you're a prostitute? 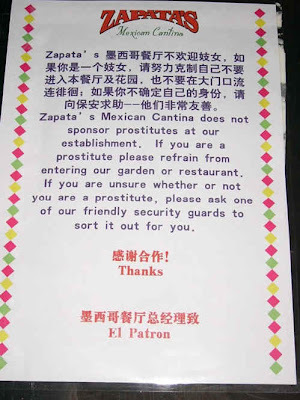 Unsure if you're a prostitute? Well, there is hope. We will help you. If you engage in sexual services for money (a few drinks don't count) you can pretty much be assured you are one. Hey, is "sort it out for you" a euphemism? Sure sounds nasty. Methinks the world has gone totally bonkers.